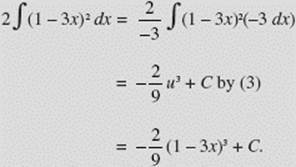 Familiarity with the following fundamental integration formulas is essential. 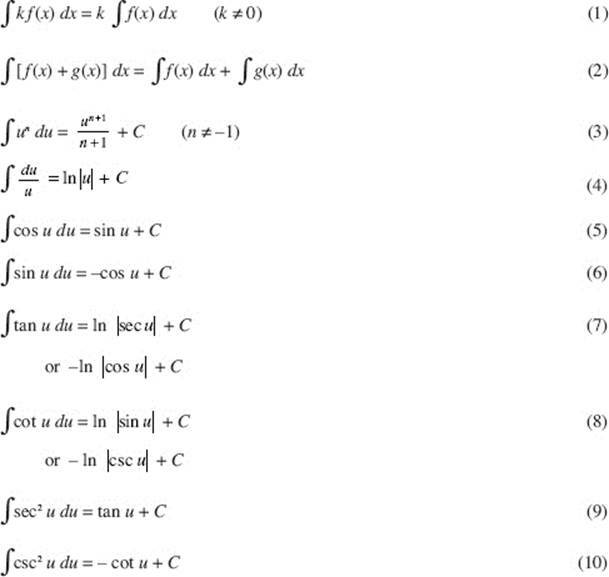 All the references in the following set of examples are to the preceding basic formulas. In all of these, whenever u is a function of x, we define du to be u ′(x) dx; when u is a function of t, we define du to be u ′(t) dt; and so on. 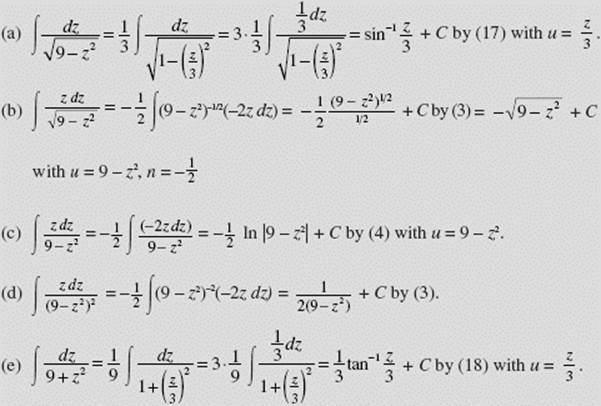 is integrated most efficiently by using formula (3) with u = 1 − 3x and du = u ′(x)dx = −3 dx. If the degree of the numerator of a rational function is not less than that of the denominator, divide until a remainder of lower degree is obtained. with u = 5 + 2 sin x. The absolute-value sign is not necessary here since (5 + 2 sin x) > 0 for all x. (by long division) = −x − ln |1 − x| + C.
+ C by (3) with u = tan t and du = u ′(t) dt = sec2 t dt. 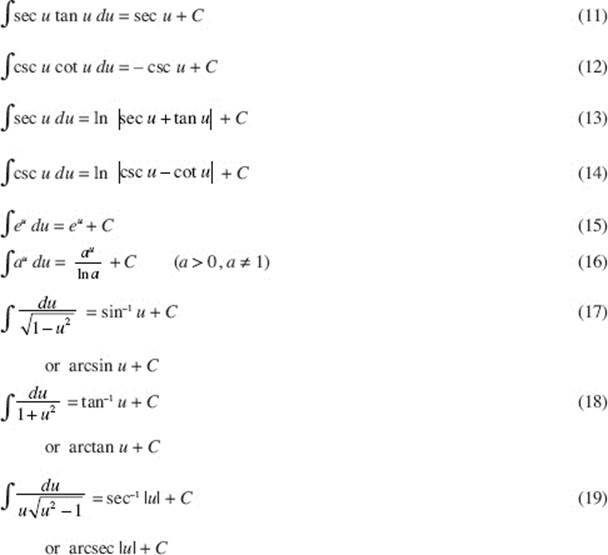 with u = cos x; cos 2x + C by (6), where we use the trigonometric identity sin 2x = 2 sin x cos x.